Oversize Dunn fountain pens measuring almost 6" long. It has a restored pump system with the later casein pump handle. 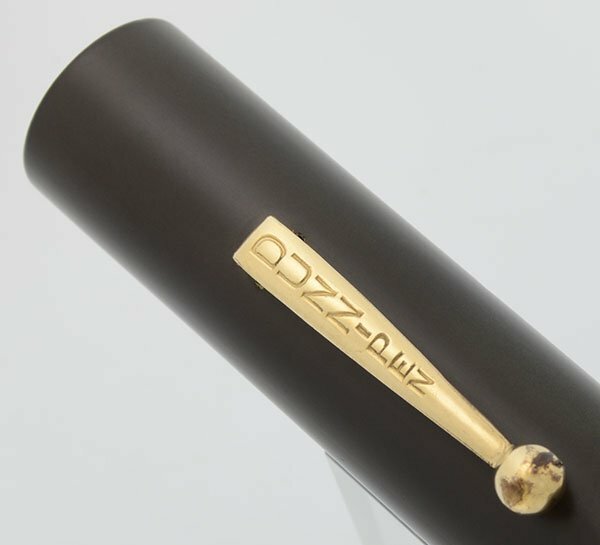 It is black hard rubber with a gold filled clip. The nib is very flexible and the pen is in excellent condition. 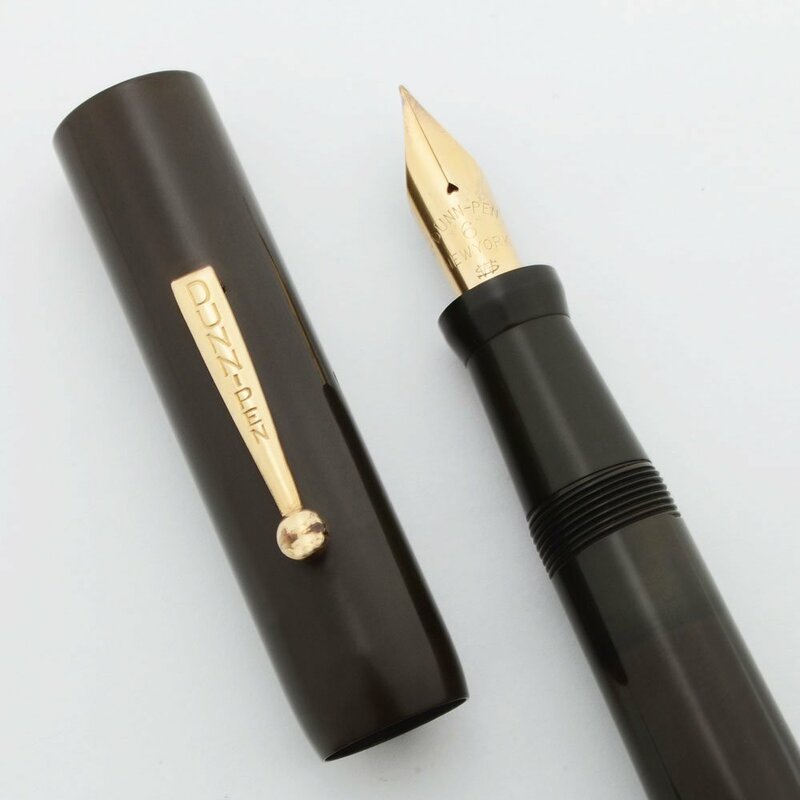 Product Name Oversize standard-style Dunn-Pen model. Manufacturer and Year Dunn-Pen, USA, 1921-7, these are the years the company was active but the casein red pump handle indicates this is a later model. Color Smooth black hard rubber (BHR). It has a red casein pump handle and a gold filled Dunn-Pen clip. 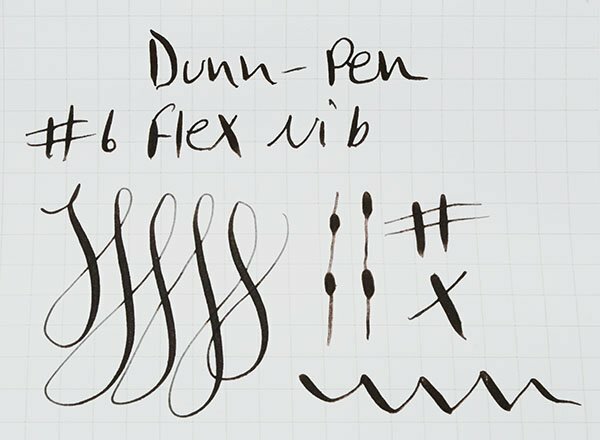 Nib Fine Flexible Dunn-Pen #6 New York gold nib. The nib has great hairlines and strong line variation. Please see the writing sample below. Unflexed the nib writes like a narrow fine but we don't quite consider it an extra fine. Condition Excellent condition. 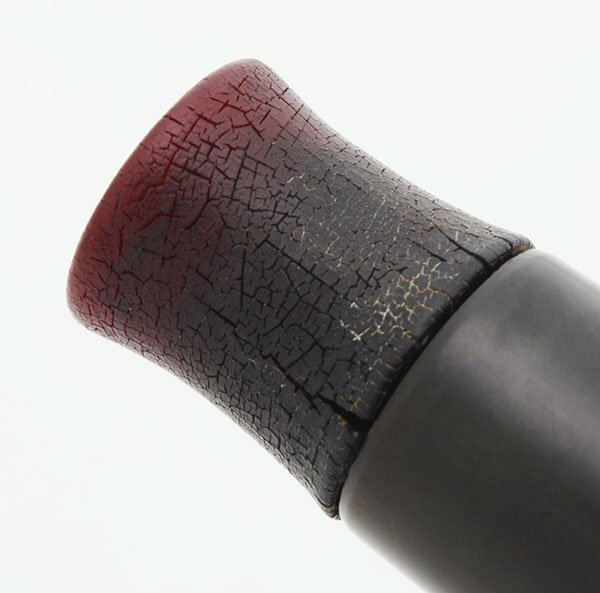 The black hard rubber has no scratches and the barrel imprint is very clear. 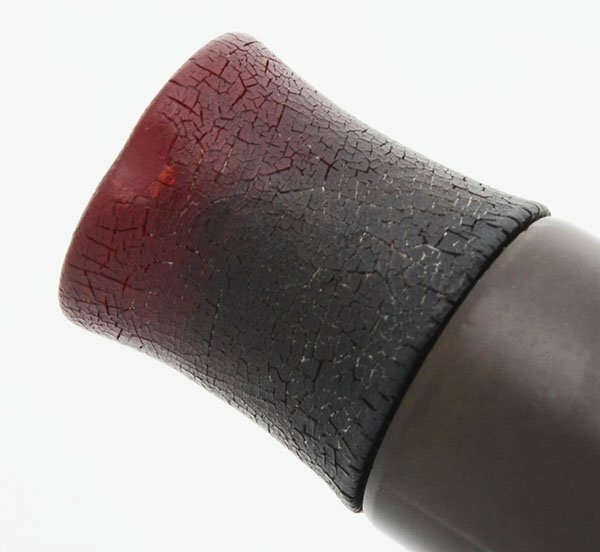 The hard rubber has discolored and is much more dark brown than black. 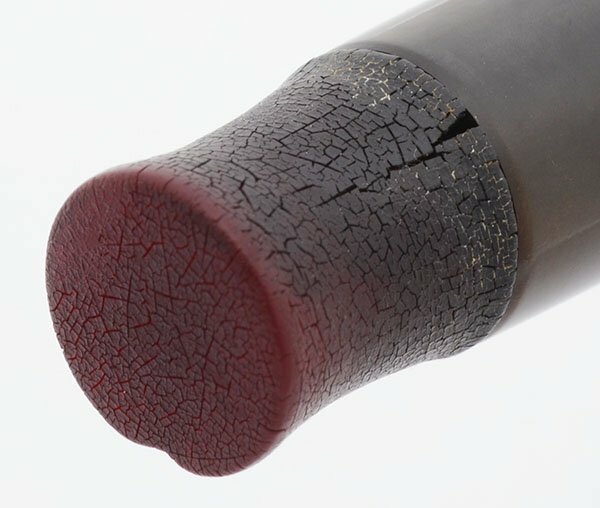 The casein pump has hairline cracks and discoloration. There is a chip of material missing and one larger crack on the pump. The casein wear does not affect ink flow or cause leaking. The pen is working very well and looks nice.